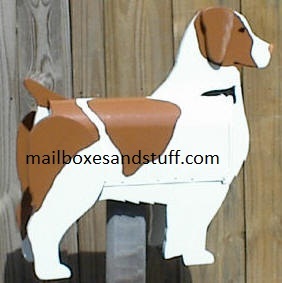 This beautiful Brittany Spaniel Mailbox would look great in front of your home or business! 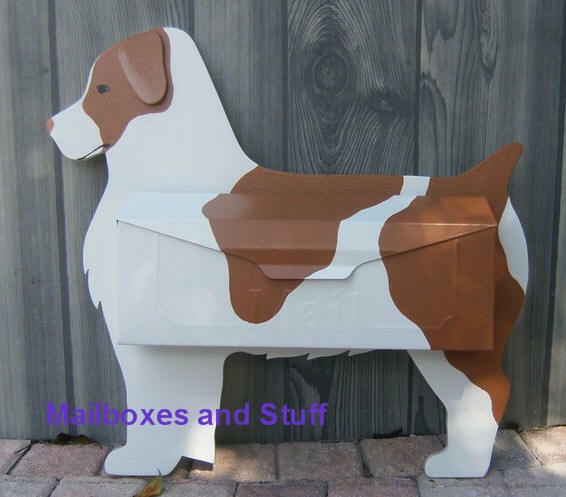 Whether you own an Brittany or are a breeder, you shouldn't be without one. 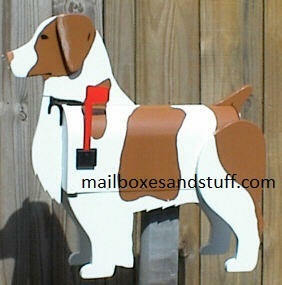 My Custom novelty DOG mailboxes are great for advertising your kennel or breeding facility! 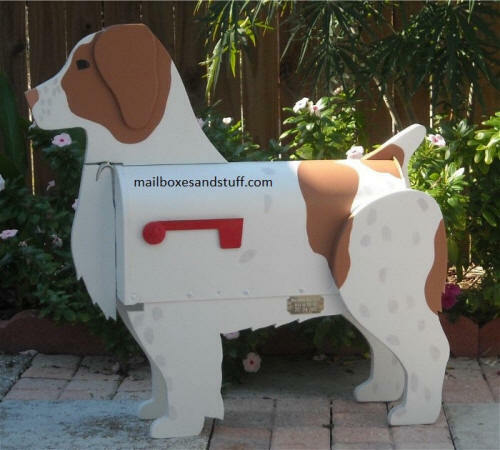 Surprise someone you love with a unique custom mailbox. They make great gifts! We pride ourselves in our quality work.